Power Supply with a Easy to Use switch. Make your application very easy to use. 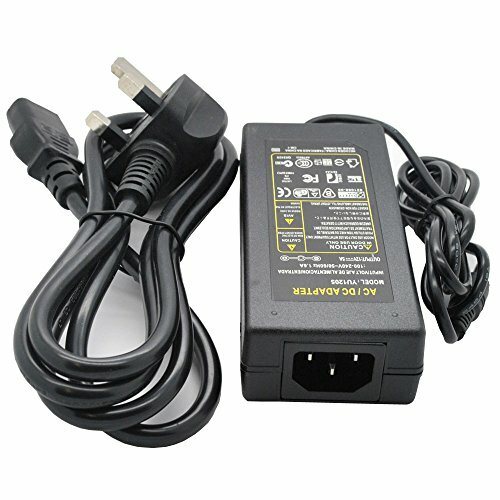 These power supplies are a high quality item which are ideal for powering a wide range of 12v DC items. We are a UK based limited company and these supplies are ideal for powering our CCTV system, computer monitors, 3528 & 5050 SMD strip lights. If you opt to purchase this item to run your LED strip light then you simply connect the strip light to the supply and you can power your item from a regular 240v plug socket. These 6A supplies can power 1 X 5M 5050 strips or upto 10 - 15M of 3528 strips. As with all JnDee products these power supplies are manufactured to the highest possible standards and include a one year manufacturers warranty.